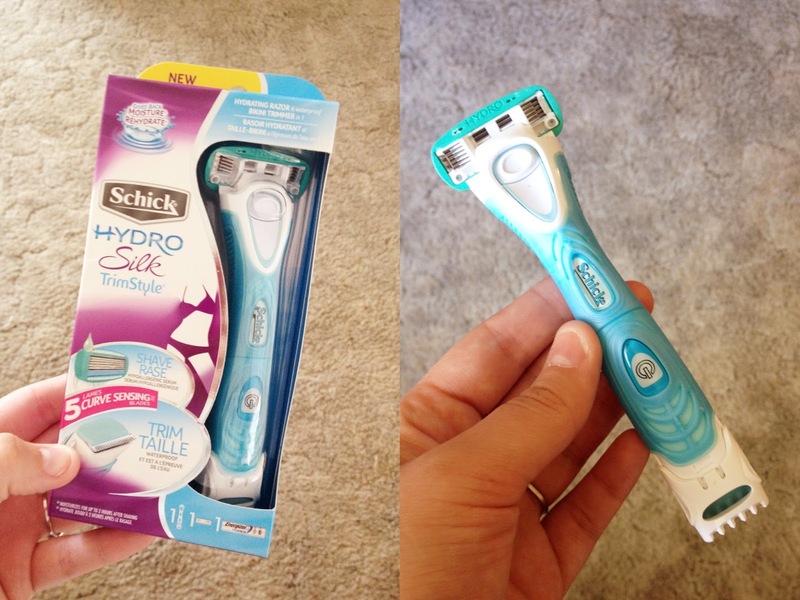 I recieved the Schick Hydro Silk TrimStyle razor and bikini trimmer from Spiced Beauty last week. I’ve seen the clever commercials for this razor, so I was excited to try it out. With a razor on one end and a waterproof bikini trimmer on the other, this razor is functional and an all in one tool for women. What I liked: First of all, the razor is great. It’s extremely hydrating and gives a close shave. I wasn’t sure how useful the bikini trimmer end would be for me (for person reasons, if you know what I mean), but I love the design. In the bottom left photo above, you can see 3 indents that allow for the user to customize the trim by changing the length. You can also see that the protective white piece can be removed for cleaning or a very close trim. 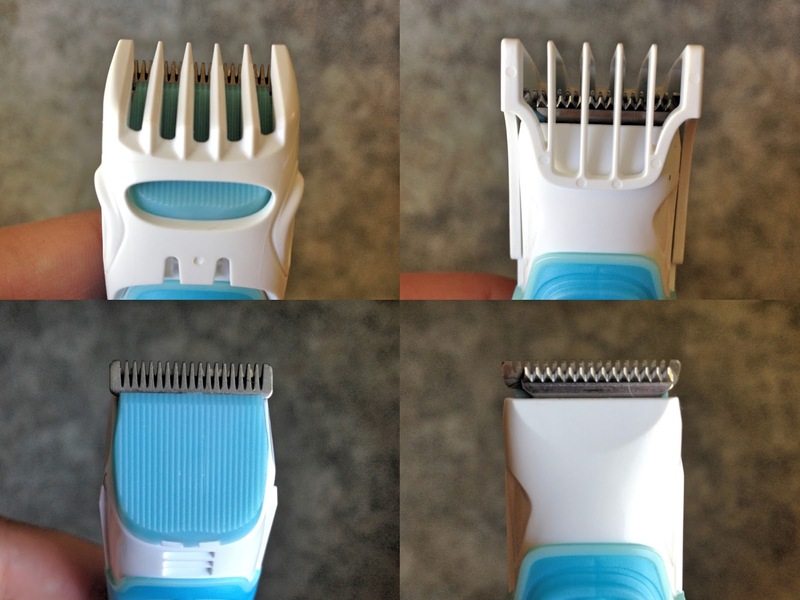 The gel handle makes it easy to hold and move around while the curved design and a plastic rest manage to keep your razor clean and dry while it isn’t being used. As I mentioned previously, the product is waterproof, making it perfect to use either in or out of the shower. The overall design makes it easy to get exactly what you want. 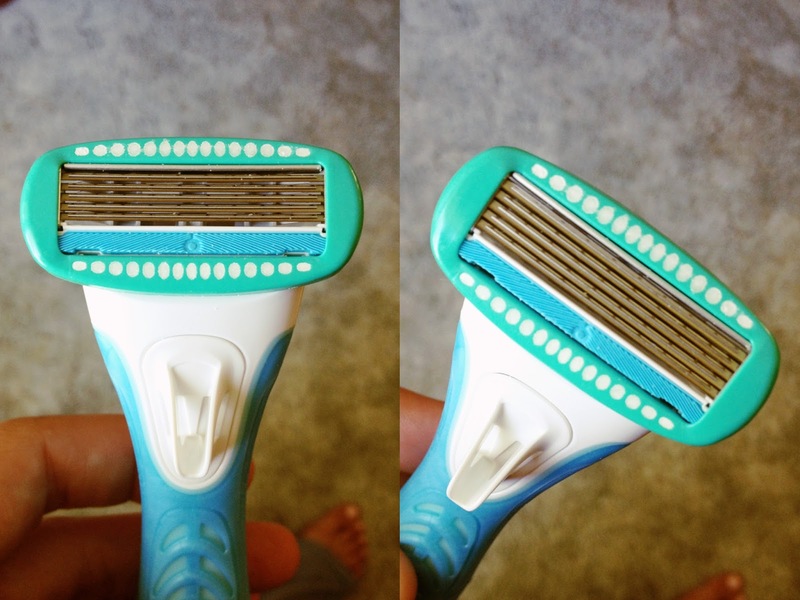 What I didn’t like: To be honest, there is nothing that I don’t like about this razor. It’s functional, can be customized, and the I’m loving the design. If you use any other tool for bikini trimming, I highly recommend you give this product a try. Have you tried the TrimStyle? What did you think?